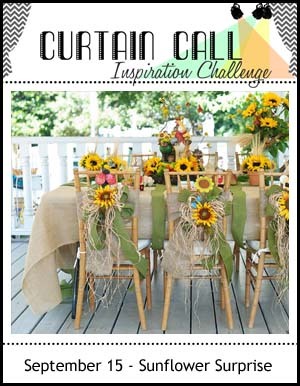 Hey Curtain Call friends it is time for our next inspiration challenge. This time it is a Sunflower Surprise! 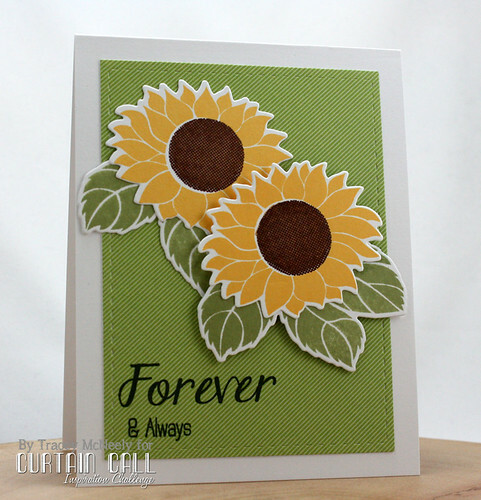 Clearly Besotted Stamps is our fabulous sponsor for Curtain Call Inspiration Challenge: Sunflower Surprise! Stephanie Wincott, owner of Clearly Besotted Stamps generously provided Blooming Marvellous Stamps and Die Collection for our challenge today! Clearly Besotted Stamps is offering a wonderful prize to our Sunflower Surprise LEAD, too...Marvellous Blooms Stamps and Die Collection! If you search for the significant meaning of a sunflower you will see that it is a symbol of loyalty and longevity, symbolic of adoration, significant of radiance and warmth and one of the happiest flowers. The card that I made for the challenge is wedding card for two friends being married next weekend. One sunflower for each of them. We really hope that you come and join us for this challenge at the Curtain Call. We had so many amazing entries and fabulous projects for our Back to School challenge, we can't wait to see what you do this time! This is beautiful! LOVING the sunflowers!!! What a lovely card to give to the newlyweds!! Beautifully CAS...your cards are always so perfect!!! So pretty! Thanks for sharing the meaning! So beautiful! What a fabulous card. 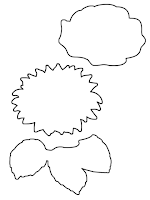 I did not know that about sunflowers. 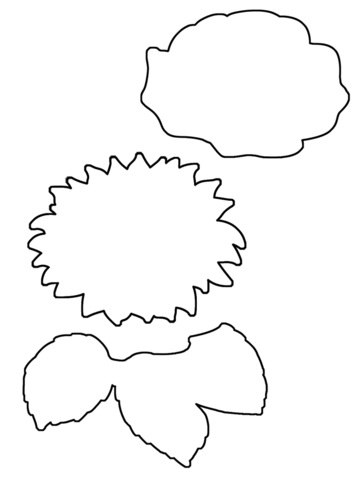 I will definitely play along this week, as I have some sunflower stamps I love that need to see some ink. I LURVE this CAS AWESOMENESS card!!! Beautiful big sunflowers, so pretty! Love that you added the green background to echo the table runners from the photo! Pretty card Tracey! Such a bright cheery and gorgeous card Tracey!! Looks like your mojo must have come back! Beautiful work! Gorgeous CAS design, Tracey...I love it! so pretty!! love CB stamps! Love those sunflowers! They look just awesome against the green. 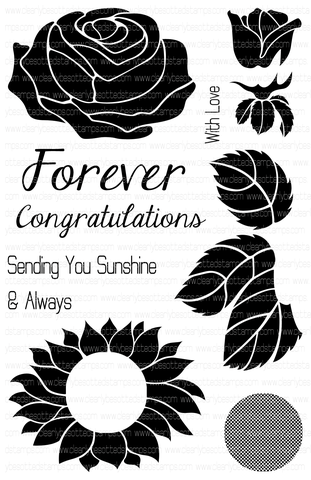 Beautiful wedding card for your friends! Oh...that is just what I said when I saw your card and the great inspiration photo. What a beautiful place setting...your card with that linen look paper is beautiful. So sweet...I love that about the sunflower and that you took the time to share it with everyone. Such a fabulous wedding card too, very lovely. Very pretty Tracey. Love the green background with the beautiful sunflower. Beautiful Fall creation, Tracey! Love the green layer! Love the inspiration photo for this week and your card is fab! I've got to check it out! 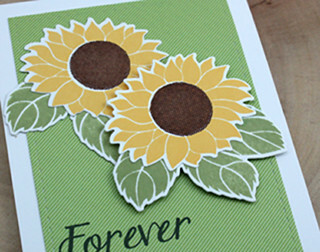 Those big sunflowers are fabulous and I love the tiny stripes on the patterned paper!